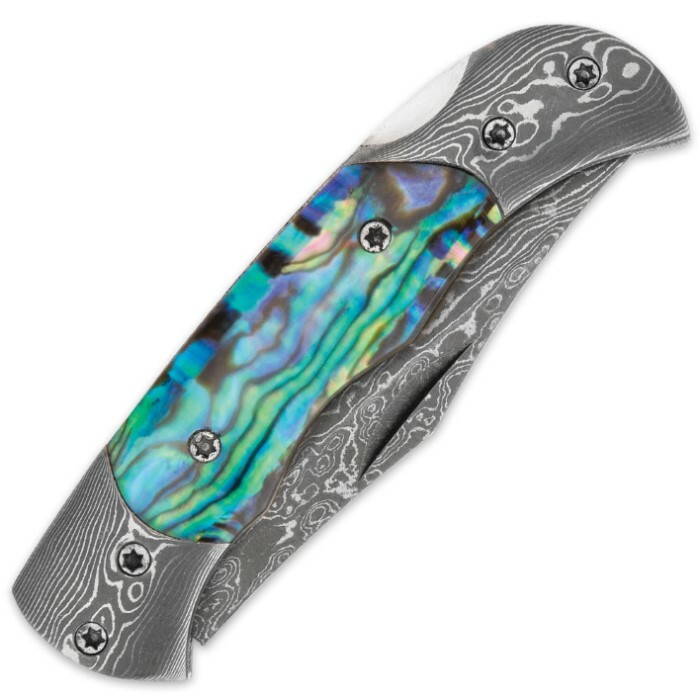 This custom Damascus pocket knife is a real head turner! No two knives are the exact same. 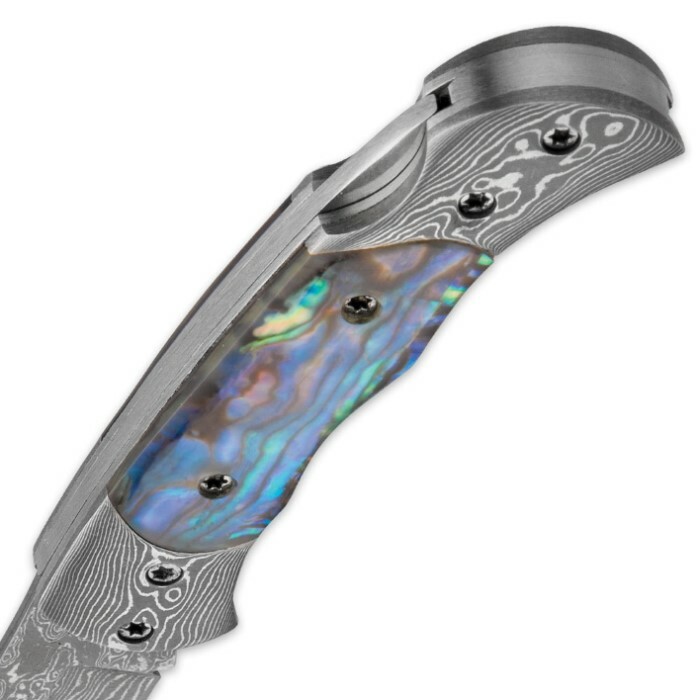 Each knife features intricate Damascus bolsters, vibrant faux Abalone handle scales and a beautiful 2 1/4 in. hand-forged Damascus steel blade. 3 1/8 in. closed, 5 1/2 in. overall. 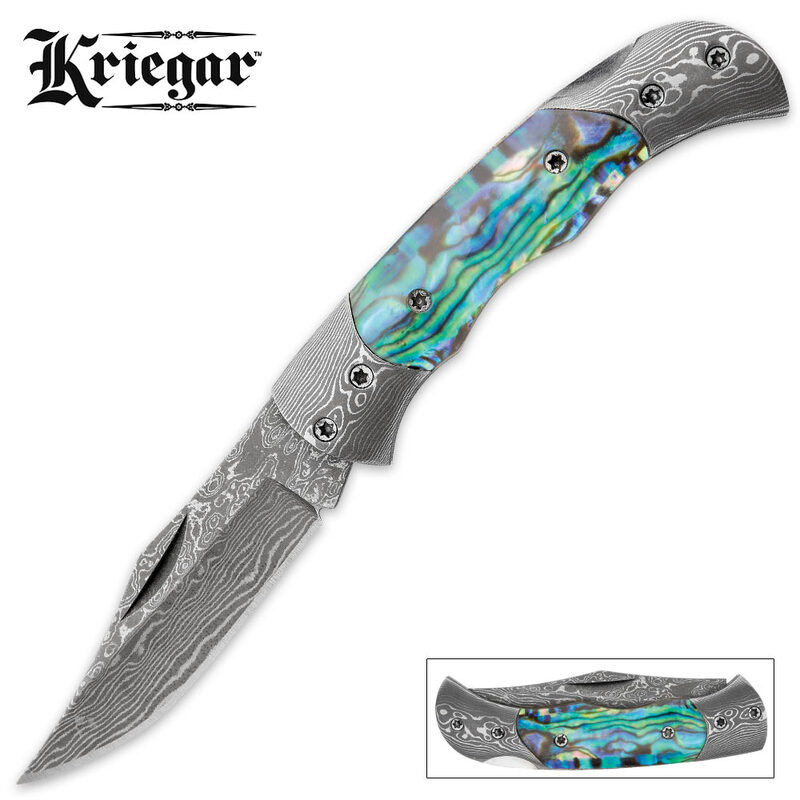 this is a beautiful pocket knife! it's not quite as big as i had expected but it has a solid weight to it. the worst thing i can say is that the stars on the screws weren't centered. a minor flaw on a great knife. it is quite sharp but i think i can get it sharper. it's noticeably pricier than most of the knives here but it's worth it for a piece that is as attractive as it is functional. great shipping as always. Beautiful knife, looks better in person. Came to me in a timely manner, and razor sharp I might add. As always true swords does not disappoint.